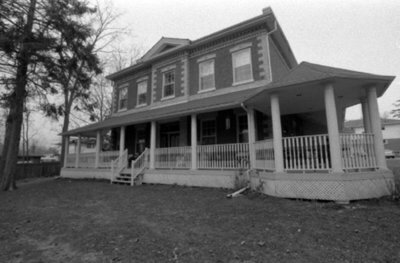 A black and white photograph of Burr Lodge. View if of the south side of the lodge. Burr Lodge, c.2006, Carl Ferencz. Whitby Archives A2013_013_008B.